NHL left winger who spent 21 years in the league with six different franchises. He was selected to two All-Star games with the Calgary Flames and a third with the Toronto Maple Leafs. 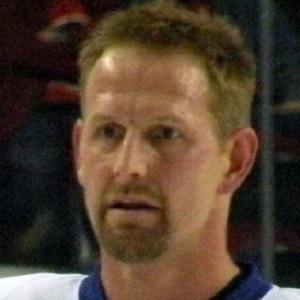 He was selected 12th overall in the 1984 NHL Draft by the Flames. He won the Bill Masterton Memorial Trophy for coming back to the NHL from a devastating neck injury. He grew up in North York, Ontario Province, Canada. He played alongside Al MacInnis on the Calgary Flames.